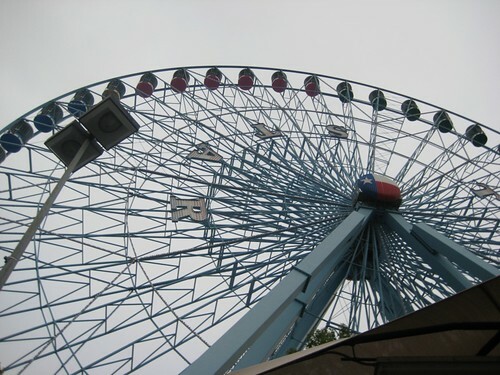 Last week we went to the Texas State Fair for the first time. I've always wanted to go, so when our pastor's wife offered us free tickets, I gladly took them! Along with the games, rides and food, there were craft and gift booths. Phillip got me two new crystals for my kitchen window. He also got me a stick of rock candy. A few years before we were married, he gave me a similar stick from the Del Mar fair in San Diego, CA. It sat on my dresser for many years, but eventually crumbled away. Now I have a brand new stick to remind me of those special times! Thank you for looking at my fair treasures! Please read the Show and Tell Guidelines for step-by-step instructions on how to participate. If you would like to join in, please leave your *permalink* below, along with your first name only (this makes the list easier to read). If your link has been removed from Mr. Linky, please re-read over the guidelines before re-posting. Have fun! I accidentally just clicked enter for my link and it went with a prior post...so please eliminate #2 Jan from the list. The real ME is at #4 Jan!!! LOL!!! Love your post Kelli!!! Thanks for hostessing Show and Tell Friday, it's so much fun! You are brave to ride the big ferris wheel!! I haven't been on one since I was a teen! I like all the goodies your hubby bought you, nice memories! Oh how fun! I have not done that in so long. I know all my SAGA sisters go to the fairs and enter their sewing and smocking and win blue ribbons! You are brave to ride the ferris wheel. I have ridden them twice. Both at county fairs. Well, I will not share the details with you. Let's just say, it is better for me to stay on the ground. Love the crystals. Looking for some online to replace some that are missing on a lamp. What fun. Love the crystals and love rock candy. I don't think it would last long enough with me to start crumbling away. It is really too pretty to eat though. I love State Fairs and rock candy. Sounds like you had a good time. Oh my ! this wheel is nothing for me I would get sick ! You were very brave, lol ! What a fun post. I have never actually been to the fair. Isn't that just crazy? I loved your post it was really fun. I'll be writing in the morning. I still need to scan my Show and Tell. I'll be writing at My Home Sanctuary. Hi Kelli! So excited about your new Etsy venture...good for you, I am proud of you. I have thought of doing this, just not quite there yet, still a little nervous about branching out! hahaha...I love it when women do this though! 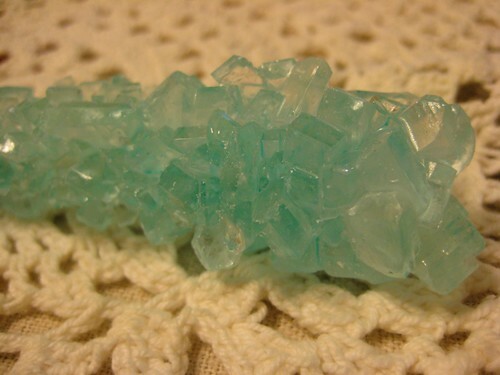 Enjoyed your post today, about the crystal, the fair, the rock candy. Wonderful. Today I have a little givaway! beautiful crystal and throws out light into your special space with many colours! Its a happy thing to have! I am excited for you about opening you etsy shop...must go browse!! I'm glad you got to go to the fair. I haven't been to a decent country fair in ages. How pretty are your new crystals? And I had a brother who loved rock candy-I like the kind on the wooden stick! 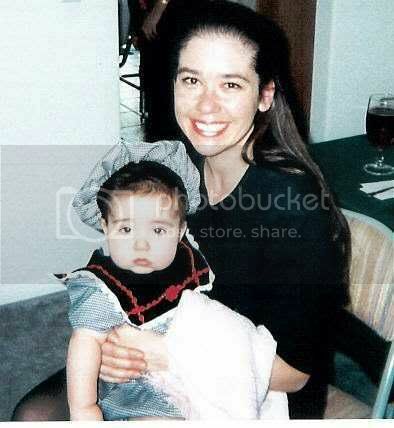 My entry will be published at 3:35 am, at the time of my son's birth 22 yrs ago. The Show and Tell is under the first part of the post. I love your crystals, Kelli. I bet they are something else when the sun hits them. Awesome. I love the crystals. I've wanted to hang a whole bunch in my windows ever since I saw the movie Pollyanna. Maybe I'll get some one of these days. Btw, congrats on the etsy shop. I have one but have nothing in it. Some day I'll have time to make stuff to sell! Never been to a State Fair, and never seen sweets/candy like that either. I always learn something new here! Well I never thought that I could be so excited to share a washing machine here. But it isn't an ordinary washing machine like we're used to in the US. I live in Germany now, and it's pretty cool what we're finding here. Now I have to find a ferris wheel as beautiful as that one! Hi Kelli, What wonderful pictures. And to find a memory replacement is a treasure. 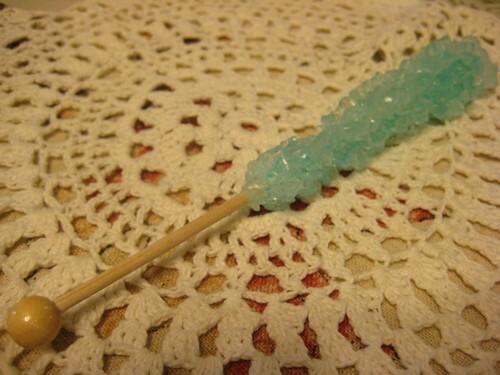 As kids we used to make sugar rock candy. In science class no less. I love, LOVE the moon-shaped crystal. I too have crystals hanging at the windows. They're so neat when the sun hits them. My Show n tell this week is another Halloween project I made. This time is a ghostly dressed skeleton. But she's a CUTE ghost. Come on over. Happy weekend to you Kelli. I must say I love this weekly appointment more and more! Even if I mess things a little (two posts, one is wrong - wrong link). Anyway, I love to get to know so many people around the world, so many thanks to you. I bet the State Fair is huge - cuz everythings bigger in Texas, right? :o) I'm too afraid of heights to have enjoyed the ferris wheel, but I love your new crystals and rock candy! Fun! Love the photo of the ferris wheel. I haven't been to the State Fair in forever! The last time was when I had entered some stuff and my Pumpkin Butter took 1st Place! The recipe was even published in their cookbook! Love the crystals! They look gorgeous in the window, reflecting all the light! The ferris wheel looks like fun, but I would be a bit scared the first go around also! You are brave, Kelli. I used to love all kinds of fair rides but I can't handle them anymore - not even the ferris wheel. I get up there and start seeing all the rusty bolts and all the possible ways to plunge to my death! LOL! I love your kitchen window. Thank you for hosting this. Have a great week. Your ferris wheel shot made me feel giddy! I haven't been on one in many years - I seem to have become more afraid of heights as I got older. I'll admire the view from below. Beautiful crystals and I love your window. You always have such good ideas Kelli! I would have kept my eyes closed the whole time - me and heights don't mix! Love the crystals in the window! That looks like a great fair! I don't think I could get on that farris wheel LOL still loving that kitchen window! You were brave to go on that ferris wheel! I went once but was too scared to ever go again, I too closed my eyes :). Precious crystals, I wonder how long your rock candy will last this time :). Well I did it...finally! Hope it works out well! wow, that is one big ferris wheel! great pics kelli! I DO NOT like ferris wheels so I am glad I wasn't on the trip with you. YIKES.....that is high. Give me a roller coaster any day. Rock candy???? What a sweet thought. What fun! I love fairs. The crystals are very pretty. How special of your dh to get them and the rock candy for you. Did you eat the candy or are you saving this one too? Oh no, I almost forgot to post this. I had it scheduled for 10 am on Friday morning. What was I thinking....I wasn't...hee hee. Can't do the ferris wheel anymore. Last time I did, I was sick for the rest of the day. It was a sad, sad realization that I am getting OLD! You know I have lived in Texas all my life and I've never been to the state fair. Glad to hear ya'll had fun. The crystals are very pretty, what a sweet husband you have. I'll post my show and tell later this afternoon when I get home. Your photos are amazing! I recently discovered your blog and this is my first time participating in Show and Tell Friday. Thanks for hosting! What fun! How neat the two of you could really take time to enjoy! Now when you see those crystals and candy you'll think of him! Neat! I love the picture of the Ferris Wheel. Glad you had fun. I hope I get to go to the State Fair next summer! Ohhhhh - what an amazing view! It's been years since I was on a ferris wheel. 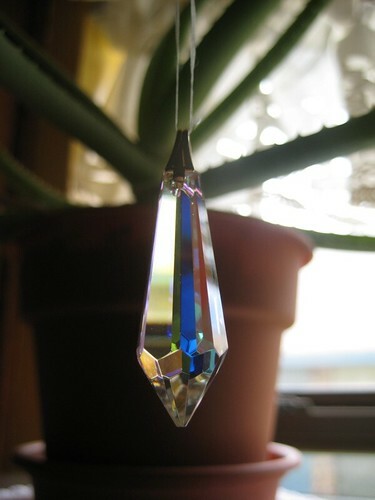 I have several crystals too, they make such pretty rainbows, and very welcome in the long winter months. A freind of mine made me three 'chain pulls' for our light/fan using crystals on the bottom and various beads and buttons strung all the way up. Makes me want to put the fan and lights on and off all day long. How sweet of your pastor's wife, thank you for sharing! This is my first time on your show and tell blog train! Oh - I love the crystals hanging in the window. They must make quite a light show on a sunny day. Isn't rock candy pretty? We made some several years ago as part of a science experiment. Fun! Looks like the fair was a lot of fun! I just read about how awesome that particular fair is in the October Southern Living. Your pics from the ferris wheel are great! You are a brave BRAVE woman to get on a farris wheel! I road one not to long ago and said I would never to that again! Those are beautful crystals btw! I just love your crystals, So nice you and family went to the fair, and what a wonderful thing to have booths where you can buy. Ours are just food booths, games,and rides. Terry and I got married at fair time. The night before we went to the fair. We have all ways gone on our anniversary, there or about. Last few years Terry gone with our girls. Looks fun. Good morning Kelli, I don't like big and tall Ferris wheels like this one!! 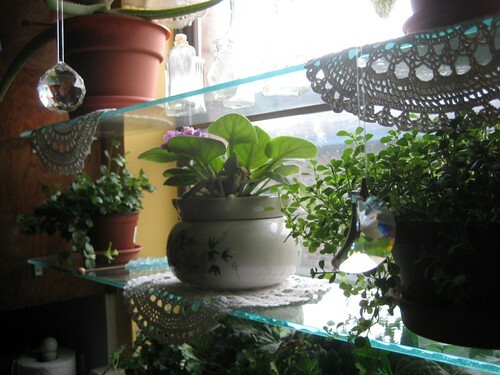 !I love your crystals and rock candy....your kitchen is decorated so cute...you have a talent in many areas..thanks for hosting every Friday.I am sharing two items I bought in Japan..Have a good day. That is so neat! You are breave, I am terrified of heights and would avoid a ferris wheel at all costs, lol. I love your crystals, so pretty. The fair looks like fun and a place to make great memories! I love the new crystals. So pretty! I love the crystals in the window. I had one hanging in mine, but had to take it down when we had them replaced. Seeing yours reminds me that I want to put it back up! Glad you had fun! I admit that while I love roller coasters (even with the vertigo I get after) the Ferris Wheel bothers me. I took the kids on a small one in Silverwood Theme Park, and was sure I was going to be sick. This is my first "show & tell". Thanks for hosting and inviting to participate. The crystals are pretty. I haven't been to a fair in ages. I could never have gone on that ferris wheel. It's looks enormous. I love your crystals and the stick of rock candy. Hope your etsy is going well. The rock candy brings back such memories! 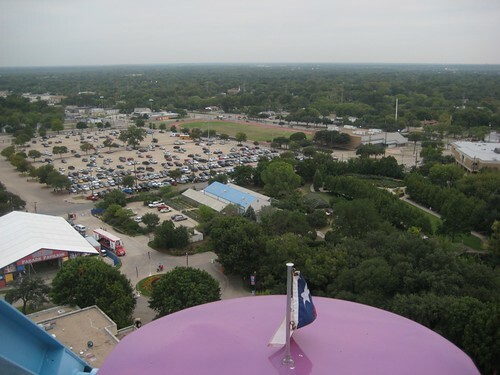 Thanks for sharing your picture from the Ferris Wheel! So brave! Ferris wheels are scary for me since I am afraid of heights. I'm glad you had a good time, though. It was very nice of your hubby to give you such thoughtful gifts. Have a great weekend. My daughter had a candy bar at her wedding last summer. Their colors were blue and brown and one their candies were blue rock candy just like yours. 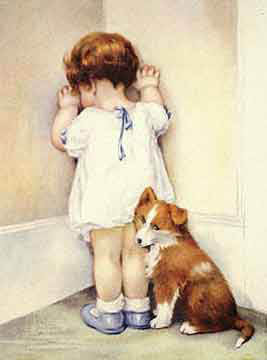 I found your wonderful site whilst blog hopping so amnew to this and hope I have done it right. Just wanted to let you know I spent the morning making caramel apples. The paper kind. Thanks for the inspiration! Sorry - I will do better next week! Fairs are such fun! Love your window... you have spruced it up so nicely. 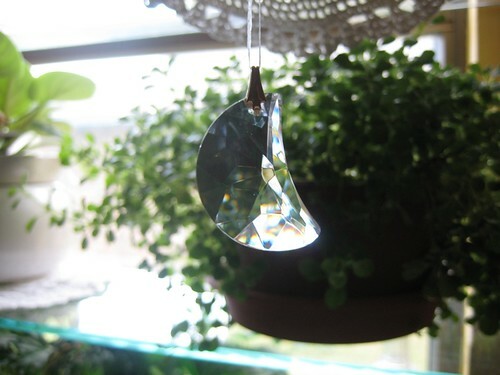 the crystals look lovely in your kitchen window...nice gift! I'm not sure how I happened upon this weekly event. I do know my first discovery was last Friday and I truly enjoy it. I have such a vast collection of things from days gone by that I love to share. I love to find others who enjoy and own some of the same things. The joy this brings me is proof that we're never too old for Show and Tell :) Thank you so much for this. Late night tonight...but my post is up! I want you to know I have ridden the Ferris Wheel my whole life clinging to someone and crying to get off...last year, we went to Niagra Falls and I went on the Ferris Wheel there. The Falls were so beautiful, I forgot to be afraid! Your crystals are so lovely...thanks for another great Show & Tell Friday! Hey just wanted to pop in and say i love your pictures and thanks for the comment on my blog. I have been reading your blog for awhile now (in google reader) but I don't know if I have left a comment before or not. 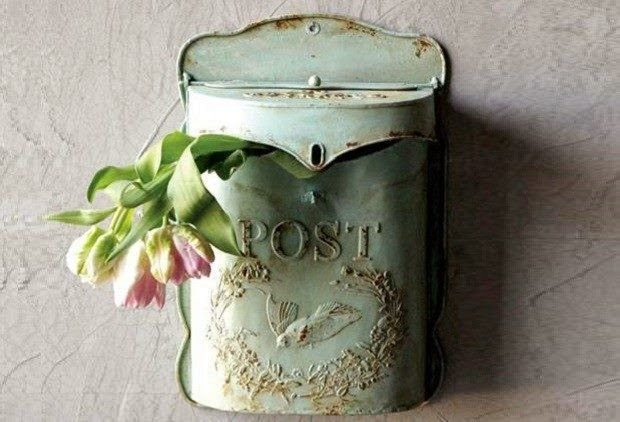 =) Anyways, I love your blog...you do gorgeous stuff! A day at the fair sounds wonderful and I am sure you all had a good day. I think I will get in your show and tell next week. It is fun to share with others the things taht are special to us. Hugs to you and your family . Oh, you got to go to the fair! I haven't been in two or three years. :-( I sure do miss it! As always, your blog totally blesses me. I love your crystals and the pictures from the ferris wheel are beautiful! Your cards are so gorgeous and I always love seeing your latest craft tutorial. I think it's great you're opening an Etsy shop - I've been thinking of doing the same. Still in prayer about it. Oh I LOVE fairs! The smells, the sights, the atmosphere is wonderful! The color of the rock candy is beautiful! Thanks for coming by and giving me a warm welcome. I had such a good time sharing and checking out everyone's treasures and photos. I hope you had a fab weekend and hope you and yours have a wonderful week ahead!